Kristalina Georgieva, the current Bulgarian commissioner responsible for humanitarian aid who was a strong candidate to replace Catherine Ashton as EU chief, is likely to become budget commissioner in the next EU executive, a well-informed Bulgarian politician said. Ivailo Kalfin, a former MEP and former Vice President of the Budget Committee, said that Georgieva would most probably be Commission Vice President with the EU budget portfolio, writes Dnevnik, the EURACTIV partner in Bulgaria. Georgieva herself, who met with Bulgarian journalists in Brussels on 31 August, said that she knows what her future role in the Commission will be, and described it as “important”. Georgieva said she cannot disclose her future portfolio, because this was the prerogative of Commission President-elect Jean-Claude Juncker. It is most likely that Kalfin, who in the best terms with Georgieva, has obtained this information first-hand. 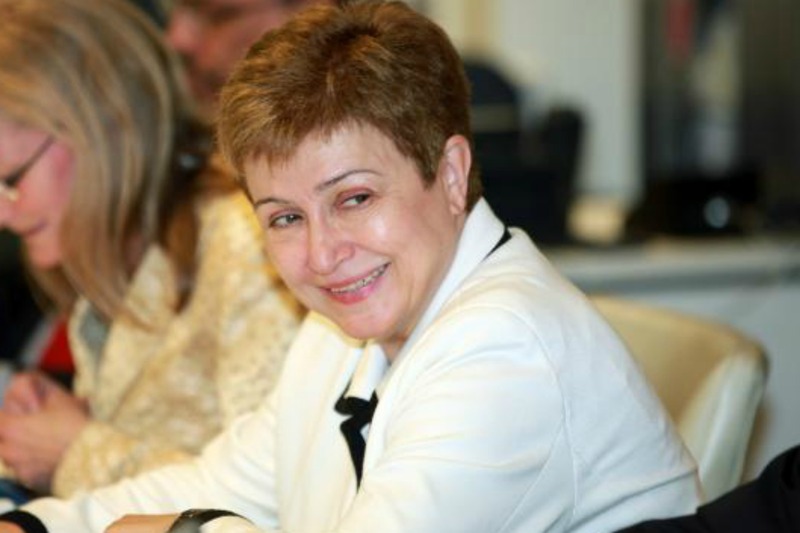 Georgieva said that she realised that having seriously been considered for the post of EU foreign affairs chief had boosted her chances to obtain an important portfolio. According to information, obtained by EURACTIV, Juncker was impressed by Georgieva’s track record as commissioner and has deployed significant efforts to get her on his team. At that time, the outgoing socialist-led government had other candidacies in mind as future commissioner, but one of the first tasks of the caretaker government which took over on 6 August was to nominate Georgieva. Speaking to the press on Sunday, Georgieva said she didn’t regret having missed Ashton’s job and expressed confidence that she would play an important role in the new EU executive. “I have been director for environment in the World Bank. Of course I have dealt with budgets. I have enough experience in the area of energy. I was director for infrastructure and energy”, Georgieva said, referring to her experience before she joined the Commission five years ago. The 30 August summit which chose Polish Prime Minister Donald Tusk and Italian Foreign Minister Federica Mogherini to replace respectively Council President Herman Van Rompuy and EU foreign Affairs chief Catherine Ashton later this year. The next step is that within one week, Commission President-elect Jean-Claude Juncker is expected to announce the full list of Commissioners. Reportedly so far only Belgium, which is struggling to form a government, hasn’t submitted a name. The second step is that Juncker will present a second list, also containing the Commissioners’ attributions. Currently member states are putting pressure on him to obtain “important” portfolios for their commissioners. Dnevnik, the EURACTIV partner in Bulgaria: ??? ???? ?? ????? ????? ??????? ?, ?????? ?????? Dnevnik, the EURACTIV partner in Bulgaria: ?????????? ????????? ??? ????????? ????? ?? ? ???????? ? ??? ?, ???????? ? ???? ?????????? EURACTIV Greece: ? ???????? Georgieva ??????? ????????? ????????????? ?, ??????? ?? ??????????? Dnevnik, EURACTIV partner in Bulgaria: ?????????? ????????? ??? ????????? ????? ?? ? ???????? ? ??? ?, ???????? ? ???? ????????? ?